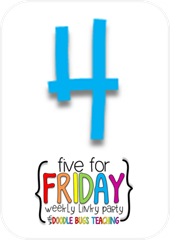 Five for Friday brought to you by Kacey from Doodle Bugs Teaching! Here’s to a whole lot of random and a FREEBIE! I’m going to start with the beginning of the week, Sunday! It was a busy day, friends! 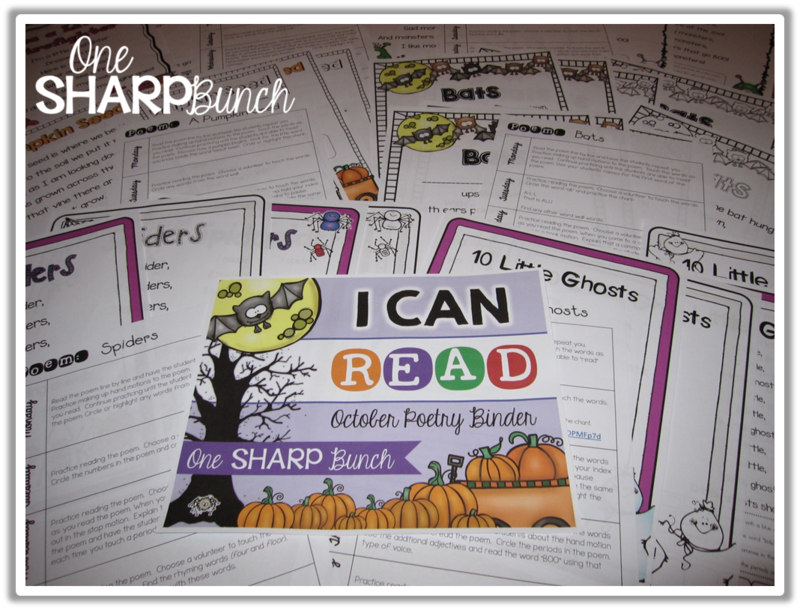 I worked hard to finish my I Can Read October Poetry Binder, so I could add it to my shop and I Can Read Bundle! On Monday, I featured this product for Markdown Monday, which means it’s still on sale through Friday! Grab all 130+ pages for just $6.00! We also kicked off apple week at school on Monday! 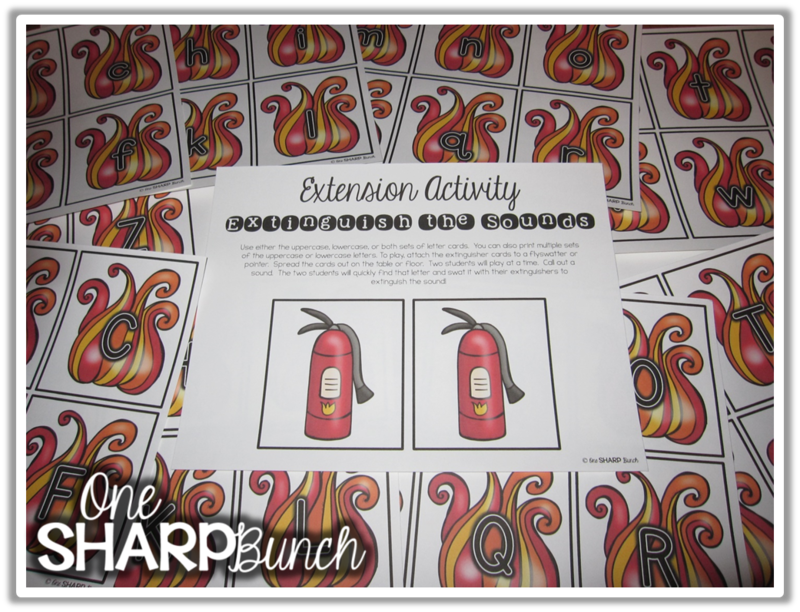 I always love apple week because there are so many fun activities that you can integrate into the curriculum! 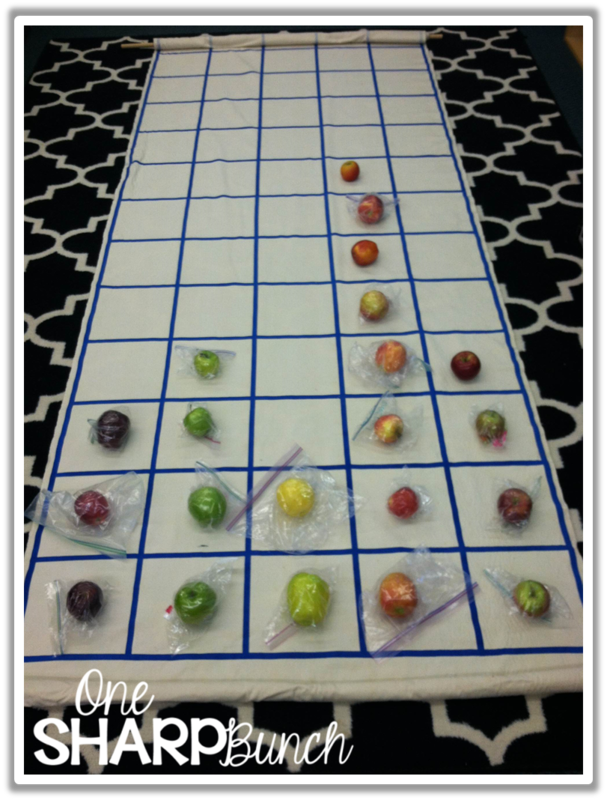 For instance, we each brought in our favorite kind of apple and graphed them using our life-sized floor graph! The kiddos wanted to graph them by red, green, yellow, red with yellow, and red with green! They are sure a bright batch of kinders! 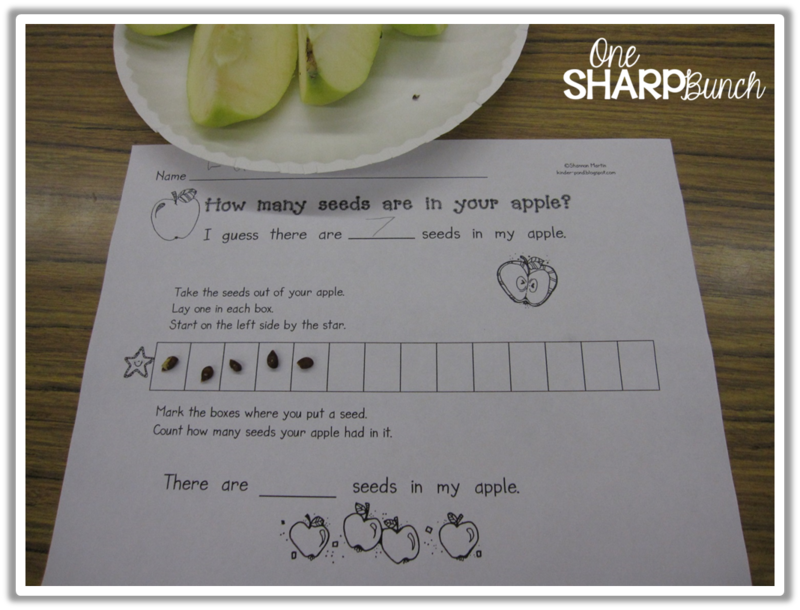 After graphing our apples, we guessed how many seeds we thought might be inside each! Of course, we had to cut them open to see if our predictions were correct! 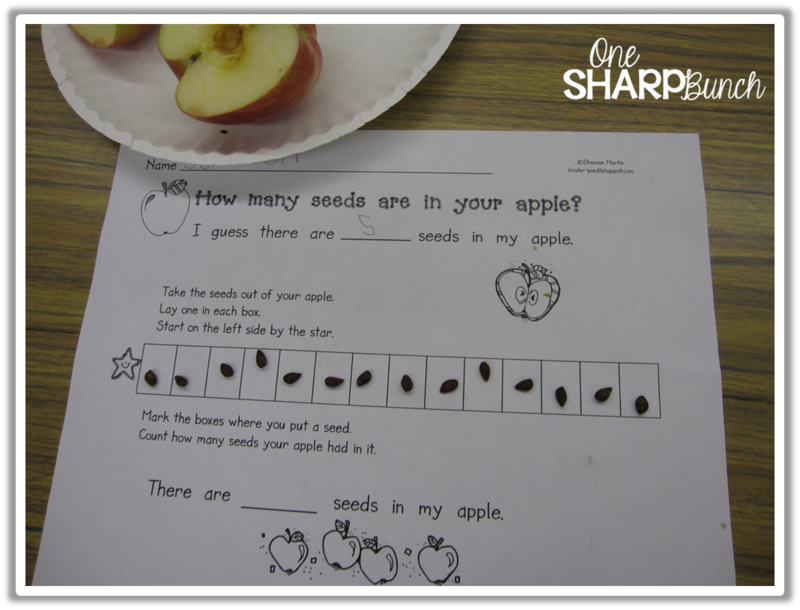 We were totally amazed by the number of seeds in this student’s apple! 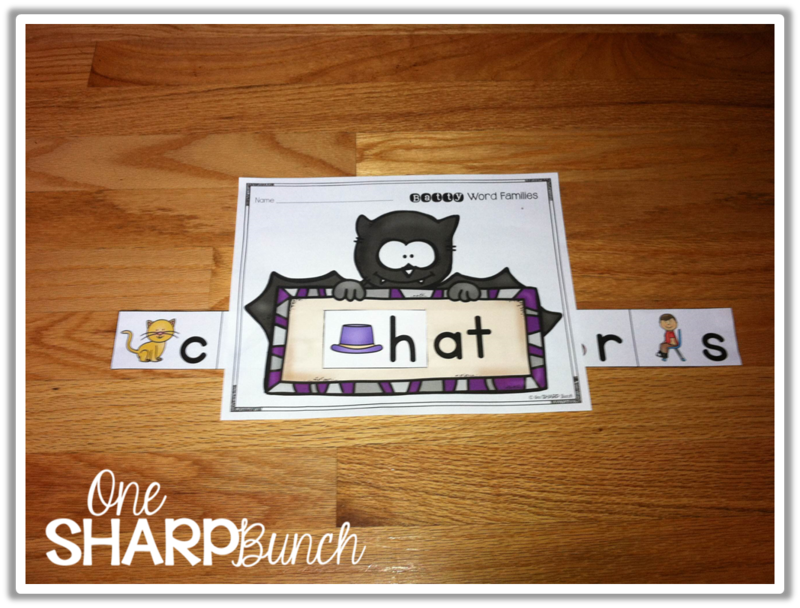 I found this fun recording sheet from Shannon at Kindergarten Hoppenings! 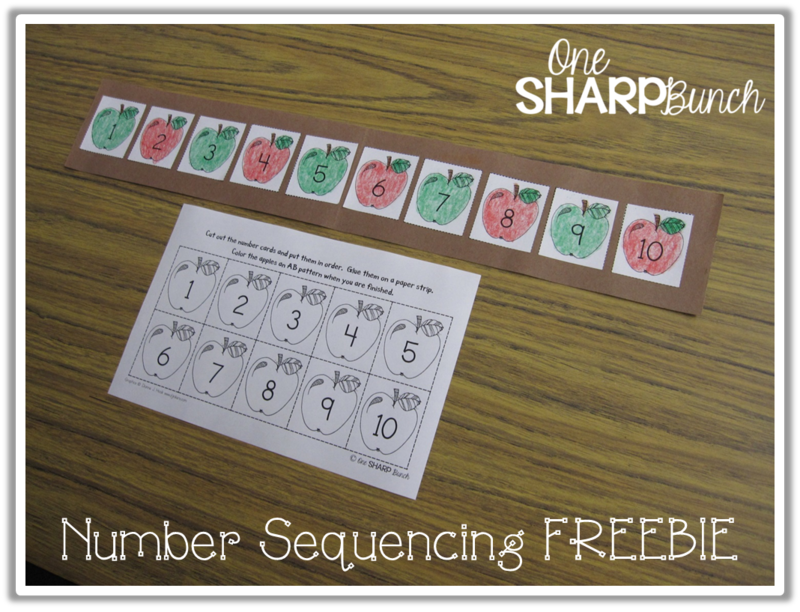 This week, we also practiced sequencing the numbers from 1 to 10 and AB patterning! 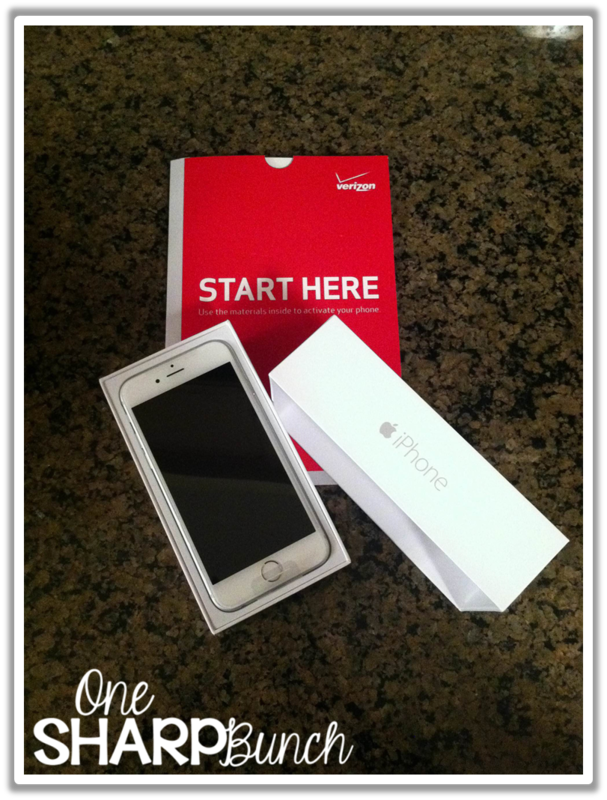 On Wednesday, I FINALLY decided to activate my new iPhone 6 that I had since last Friday! You are probably wondering why on Earth I waited so long… Well, I didn’t want to end up like that poor man they kept showing on the news who had dropped his phone and shattered it! I would have cried real tears, people, so I opted to wait until I got a case, even though it’s only silicone and may or may not protect it! All I can say is HOLY COW! This phone is seriously amazing! I was using the iPhone 4, so this is a whole new level of phone awesomeness for me! The camera is out of this world, a far cry better than the 4; and the screen is so bright and crystal clear! My eyes are thanking me for getting this phone! Yes, they are! That’s my story, and I’m sticking to it!! 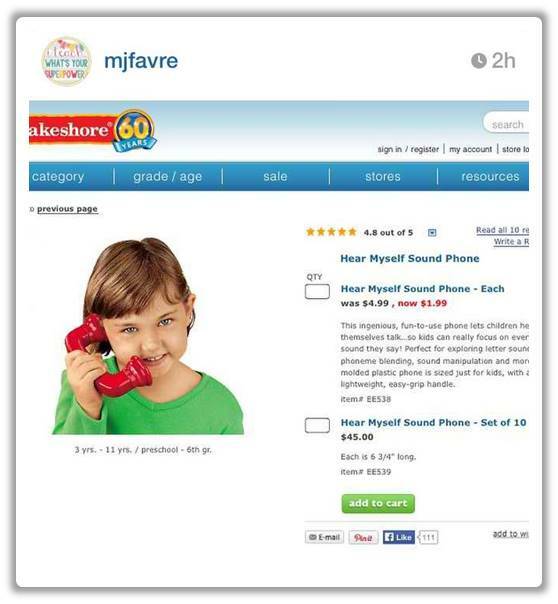 As soon as I saw it, I went directly to Lakeshore’s website and ordered 12 phones! I will use them for read to self, read to someone, fluency practice, and a whole host of other ideas! They are still on sale until October 1st! And for number five, I leave you with a fun find! 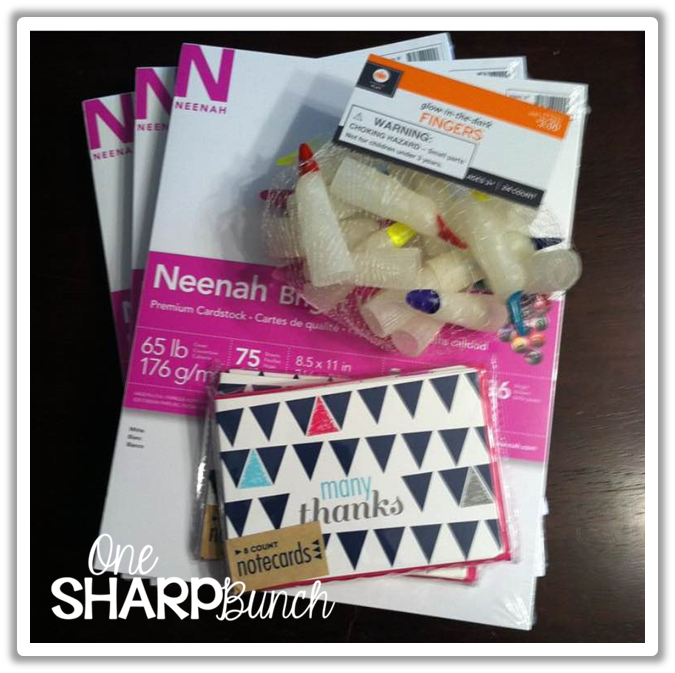 Earlier in the week, I headed to Target for some cardstock, and came home with “reading fingers” and thank you cards! Seriously! Target gets me every time, but the reading fingers were only $3.00 for 24 and the thank you cards were just $1.00! 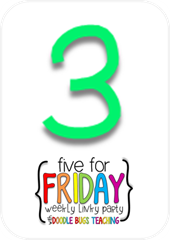 Thanks for stopping by for Five for Friday! 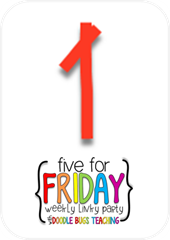 TGIF, friends! Your apple activities are so adorable! I remember doing a lot with apples and pumpkins when I taught kindergarten. And I'm still waiting for the iPhone 6 as I too have the 4s. We went last week but the lines were craaaazy! Looking forward to upgrade soon! I LOVE apple and pumpkin week in kindergarten! So much fun! P.S. I'm loving the new iPhone! I love target! 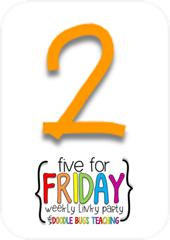 I am heading up to get those fingers as my kinders will love them! Thanks! I definitely need to go pick up some of those reading fingers. My kiddos love the reading fingers, and I have some eyeball rings they love too! I will use anything to get them to track print 1:1! I love the poetry and the life size apple graph! That is great how they brought in their own apples!! I need to get on making my whisper phones. I bought the items at Lowe's to make my own, but I am loving your Lakeshore ones! Thank you, Alex! 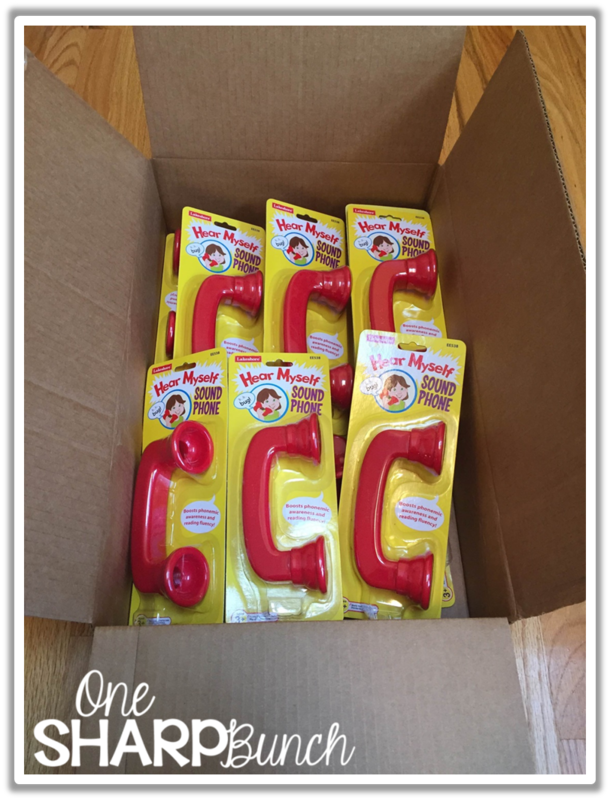 We haven't used the whisper phones yet, but I know they will love them!